The story of Coram Deo begins in the early months of 2004, when God began stirring a young Omaha pastor with a vision for a new church that would help post-Christian skeptics engage with historic Christian orthodoxy. Bob Thune and his young family spent a year praying, preparing, and garnering support for a church-planting effort. In August of 2005 a team of about 60 people came together to form the nucleus of Coram Deo Church. They formed five community groups and began meeting in living rooms throughout the city. On November 27, 2005, they gathered for their first Sunday worship service at 1316 Jones Street in Omaha’s Old Market district. In 2006, Coram Deo linked arms with the Acts 29 Network, a nascent missional church-planting network of like-minded leaders. Will Walker and JD Senkbile came alongside Bob in late 2006 to round out Coram Deo’s early leadership team. Missional communities continued to form and multiply, God continued to transform people through the gospel, and by Easter 2007, Coram Deo had outgrown its first home at 1316 Jones. The church’s Sunday gathering moved to a chapel building at 10th and Pine and multiplied to two services to accommodate growth. By its five-year birthday, Coram Deo had seen over 400 people join the mission. A handful of those people moved to Austin, Texas, in the summer of 2010 to start Providence Church, a living testimony to Coram Deo’s commitment to church-planting. In September 2011, Coram Deo merged with Core Community Church, which had been planted by Ethan Burmeister in 2000. These two churches became one, hoping for greater synergy in the cause of gospel-centered missional church planting throughout the Midwest. On Easter Sunday 2013, Coram Deo welcomed the city of Omaha to an Easter service at the Holland Performing Arts Center. Over 1500 people gathered to experience the hospitality, grace, and beauty of the Christian gospel in the cultural and artistic epicenter of our city. In 2015, Coram Deo helped to launch the Omaha chapter of The Gospel Coalition, bringing together church leaders from across the region for training, encouragement, prayer, and theological dialogue. 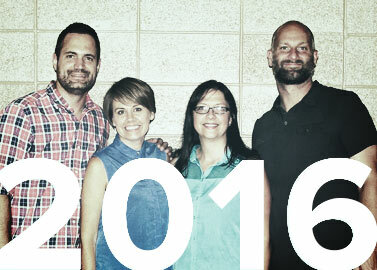 In January 2016, Coram Deo launched 150 people to form the nucleus of First City Church in Bellevue, Nebraska. Coram Deo and First City are the first partners in what we hope will be a local network of like-minded, relationally connected, church-planting churches. In May 2017, Coram Deo entered into a purchase agreement to buy the Countryside Community Church building at 8787 Pacific Street. When the deal closes in 2019, it will anchor Coram Deo Church in the center of Omaha, poised for dynamic cultural influence for decades to come.